When you lose teeth, it not only changes the way you look, but it can keep you from eating your favorite foods and smiling with confidence. And while dentures and removable bridges may help, many people today are seeking a more stable, natural-looking way to replace missing teeth. Dental implants have become increasingly popular because they provide a strong, secure anchor for artificial replacement teeth. With dental implants, your new teeth will look, feel and function like natural teeth, allowing you to eat and smile with confidence. At New York Oral & Maxillofacial Surgery, Dental Implant Center, we are experts in placing dental implants. A highly accomplished and experienced oral surgeon, Dr. Stein places more than 1,000 dental implants every year using the most advanced techniques. Because of our skill and experience, our practice is frequently asked to participate in studies on the latest dental implant technology and techniques. When you come to our practice for dental implants, you can be assured of receiving the gold standard in dental implant care with unmatched personalized service. Made from the strongest titanium, dental implants are surgically placed in the jawbone where teeth are missing. Over the next several months, the implants will gradually bond with the bone, creating a strong and stable foundation for your new teeth. Small posts are then attached to the implants, and artificial teeth are placed over the posts (this portion of the treatment is completed by your restorative dentist. If you do not have one, Dr. Stein can recommend a dentist specially trained in working with dental implants). The new teeth are completely natural-looking and will allow you to eat virtually any type of food. 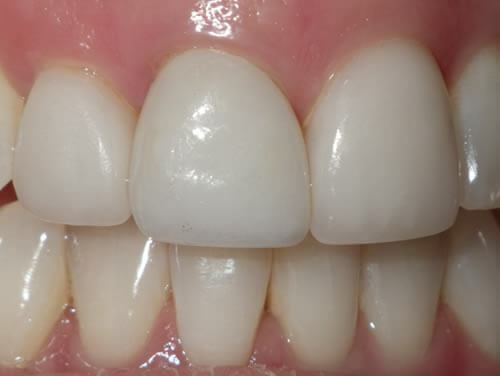 While traditional dentures and bridgework can help to improve the appearance of missing teeth, many people find them inconvenient, uncomfortable, and less natural-looking. For many people, dental implants offer clear advantages over traditional dentures or bridgework. In addition to being a more aesthetic choice, dental implants also feel and function more like your natural teeth. What’s more, with dental implants, there’s no need to sacrifice healthy adjacent teeth to provide support for bridgework. The specific type of dental implant surgery that will be best for you will depend on many factors, including the number and location of missing teeth, whether any tooth extraction is required, the condition of your jawbone, and your overall health. Dr. Stein will carefully assess your individual situation and recommend a personalized treatment plan that’s right for you. Dr. Stein will be able to help with any tooth extraction or bone grafting required, as well as placement of the implants and posts. Your regular restorative dentist will work with you to make and then fit your replacement teeth. What should I expect from dental implant surgery? Traditional dental implant surgery usually involves two surgical procedures placed several months apart. During the first phase, the implants are placed within the jawbone. 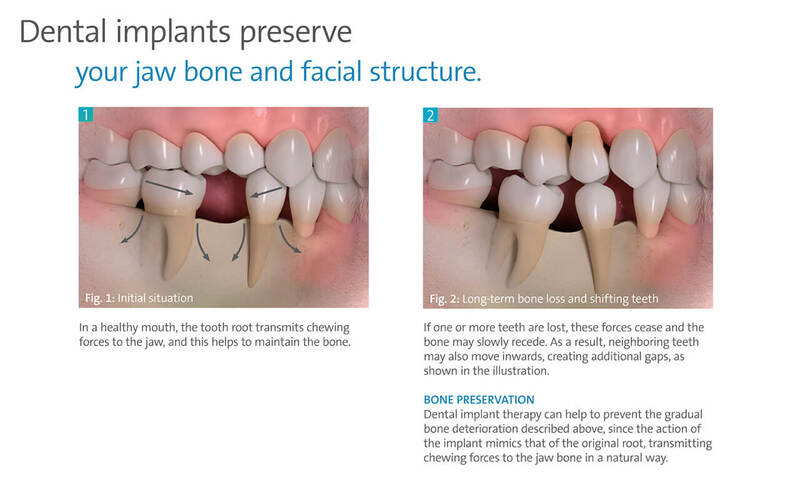 Typically, patients will then wait 2 to 4 months in order to allow the implants to bond securely with the jawbone. Most patients can wear temporary dentures and eat a soft diet during this interim. During the second procedure, Dr. Stein will uncover the implants and then attach small posts that will serve as healing abutments until final replacement teeth are made by your restorative dentist. Can dental implant surgery be done in a single procedure? Yes. Dr. Stein is well-versed in the most advanced techniques for dental implant surgery, and in some cases, he may be able to place dental implants in a single surgical procedure. With single-stage dental implants, Dr. Stein will not need a second procedure to uncover the implants. It’s important to remember, however, that implants will need time to heal before artificial teeth can be fitted by your regular dentist, usually a minimum of six weeks. In other situations, Dr. Stein may be able to place your dental implants at the same time he extracts your tooth, a process that usually requires two separate procedures. Dr. Stein will carefully assess your condition and discuss all your options with you. Where will dental implant surgery be performed? In most cases, Dr. Stein can perform dental implant surgery right in our office’s state-of-the-art operating suite. 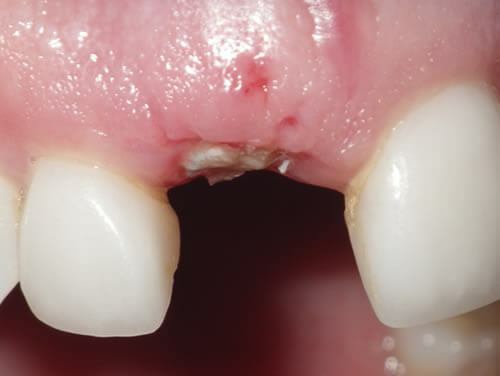 Patients requiring extensive bone grafting or special medical care may have surgery performed in a hospital setting. Dr. Stein will discuss your specific surgery thoroughly with you before your procedure. The number of dental implants needed will depend on the location and number of missing teeth, as well as the type of prosthesis (replacement teeth) chosen. While Dr. Stein will discuss your individual circumstances with you, the chart below can give you some general guidelines. All teeth in upper or lower jaw Complete prosthesis (removable or fixed bridge) Number of implants will vary, depending on what type of bridge is used. The best candidates for dental implants will be in good overall health and have a sufficient amount of healthy jawbone to serve as a foundation for dental implants. But, even if you don’t have the optimal jawbone, Dr. Stein may still be able to use advanced techniques, such as bone grafting or a sinus lift, in order to allow successful placement of dental implants. Call to make an appointment for a personal consultation with Dr. Stein today to find out if you’re a good candidate for dental implants. How do I get started with dental implants? Dr. Stein and his staff would be happy to discuss dental implants with you. Please call 212-888-4760 or schedule an appointment online to arrange for a private consultation at our office.